This year’s Volvo Ocean Race is providing an unprecedented level of access to teams and life onboard at sea and, without question, at a level that we have never seen before. Given the remoteness of the playing field – its environment, location and difficulty – I am not sure if such an ability to immerse oneself as a spectator exists in any other sport. 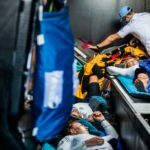 As the final boat arrives into Melbourne today, after what has been a truly mind-blowing Leg Three of this edition of the Volvo Ocean Race, the more personal stories from the sailors are emerging, as are the bruises and the scars. Several sailors are now in the hands of medical professionals being treated for a wide range of injuries from bone fractures to muscular strains. This leg from Cape Town to Melbourne has been nothing short of fast, furious and brutal! I genuinely love the Volvo Ocean Race. To me this is the greatest round the world ocean race. I have experienced not only this race in its entirety but the Trophy Jules Verne (non-stop crewed around the world record) and 80 days at sea solo in the Vendee Globe. But over the past 17 days I have been trying to imagine what it would be like to be today’s Volvo Ocean Race sailor and trying to transport myself mentally onboard. As much as I love the ocean, love sailing, love working in teams and pushing myself, I must admit that on a few occasions I was glad to be onshore. Many who have sailed in this race previously may feel that it was harder in their day and I am glad that we will never really know who did it tougher. It is tough, period! But this most recent passage through the Southern Indian Ocean was quite simply relentless. 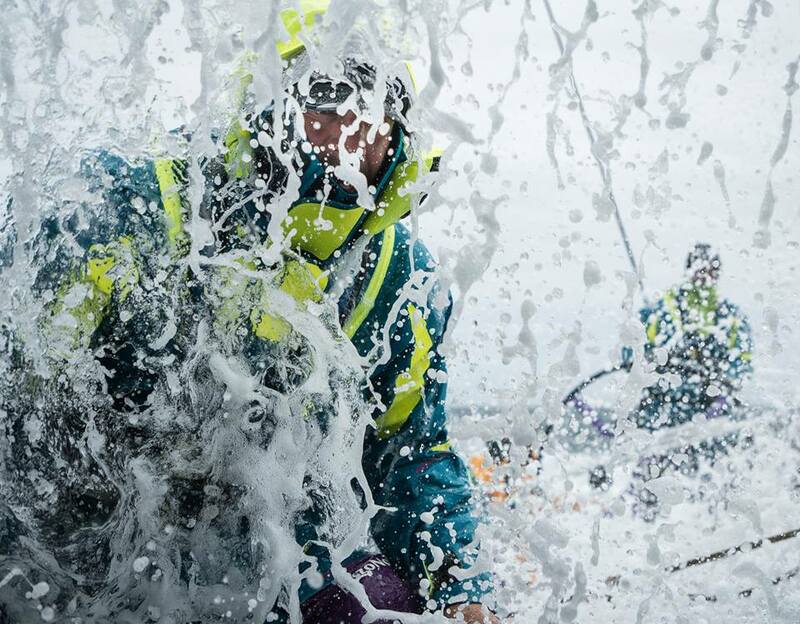 Relentless was a word that many sailors have used to describe the conditions in their messages home and as an avid follower of the race it is certainly something that really stood out for me personally. In many historical editions of the race, vessels were not as fast as they are today and this led to storms regularly overtaking the fleet. Behind these weather systems there would often be a period of reprieve, even calms, between one storm and the next. Given the speed of these yachts and the skill of these sailors, the fleet can now hang onto storms literally for weeks and this sets the stage for not only a fast passage, but also an endless cycle of stress, fatigue, high speed, danger and huge levels and duration of physical discomfort. Over the past few weeks, with the technological support of Inmarsat and Cobham, we have been gifted with incredible images from the deep Southern Ocean and let’s not forget that this is a place where very few humans have ever physically ventured. We have witnessed sailors getting washed off grinding pedestals, and even the steering wheel, by the sheer force of freezing cold slabs of water thundering down the decks at over 55 kilometers per hour. 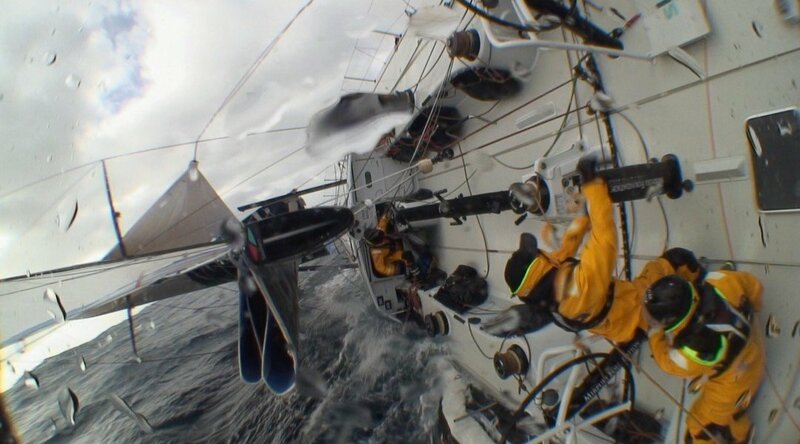 Images of boats broaching to a point where they are literally lying on their side have also provided us with further insight into the extreme conditions these sailors have faced. But again, it is the relentlessness of these scenes that is difficult to comprehend as we devour short media images or video clips on small screens. Wet and cold in these brutal conditions, the endless exposure, vulnerability and fight with fear. The non-stop reminder of the raw distance and time from any real rescue or aid in the event of injury or worse, all the while living on a beast that is trying to buck you off as it careers around an angry sea at speeds and in conditions that 99% of the current sailing fraternity will never ever experience in their lifetime. And then day turns into night and the hours become more intense over days that become weeks. The sheer tolerance, overcoming the physical and mental toll, is nothing short of superhuman. 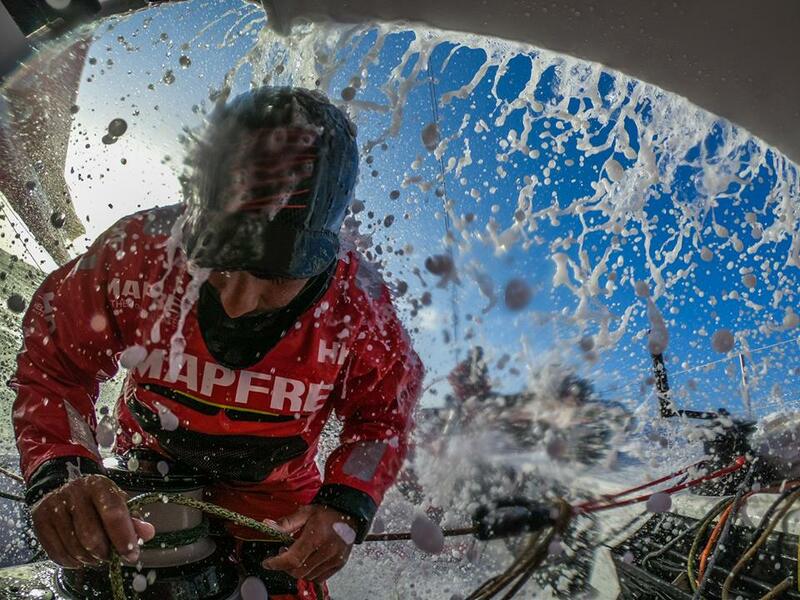 I am happy to say that I am still buzzing from Leg Three of the Volvo Ocean Race. I have never before been so blown away by what has been shared by this race. The images that linger still within my imagination dwell within me like contrasting pools of reservation and inspiration. To all of those intrepid ocean warriors who are currently mending and thawing out in Melbourne, I salute you! We will never know the full enormity of what you have endured and experienced over these past few weeks. Our small screens on phones or computers have only provided the most miniscule insight into your world, a unique world of sounds, smells, pure fatigue, camaraderie and so much more that is left to our imagination. It is imagination that forms dreams and it is dreams that motivate and inspire us. Without these, the world and our souls carry significantly empty spaces. This certainly is ‘life at the extreme’.